Scaling-up Improved Legume Technologies (SILT) is a project producing geographically-specific information campaigns, targeting small-scale farming families, delivered just ahead of the legume planting seasons. SILT is delivered with the financial support of Canada’s International Development Research Centre (IDRC), and the Government of Canada, provided through Global Affairs Canada. 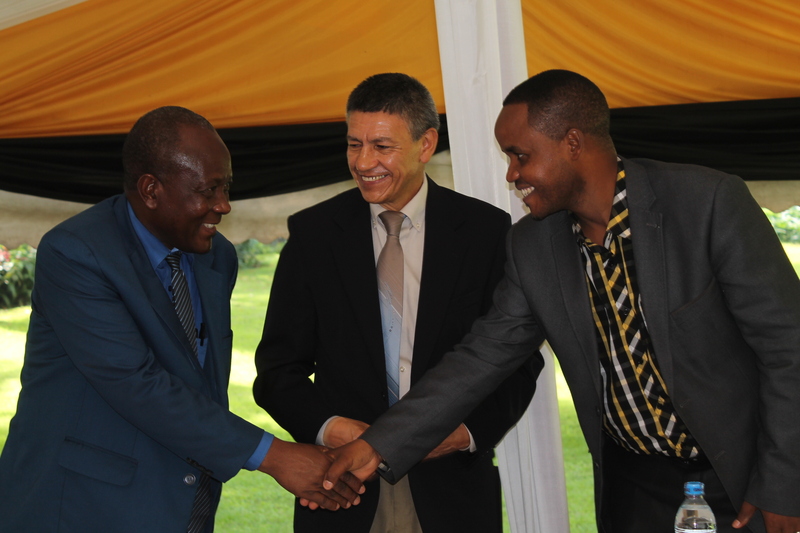 The project is jointly led by three members of the Tanzania Legume Alliance – Farm Radio International, CABI and The African Fertilizer and Agri-business Partnership (AFAP). The SILT project is delivered by a large group of partners including a number of international organisations. The assumption behind the project is that if organisations promoting legume technologies collaborate, it is an effective way of presenting coherent, economically viable technical option to small-scale farming families. The economies of scale, gained from the consortium approach, mean that the organisations can develop a variety of media including print and radio to support traditional extension approaches, including demonstration plots and training days. All campaign materials are based on the same technical brief, so that messages across all the media remained consistent and coherent on a crop-by-crop basis. The selection of media and the editing process creates nuanced information that targets specific members of the households in an inclusive way. For example radio content may be edited to address concerns of different household members; comics can use language and story lines designed to attract young people, posters in agro-dealers can target household heads. The impact of the project should be to improve production of legumes for both household consumption (food and nutritional security) and sale. Furthermore the good agricultural practices being promoted are part of an approach called integrated soil fertility management – which will ensure that the soil is not depleted of nutrients. The research activity will test the cost effectiveness of the information campaign approach, targeting, as it does, multiple points of entry in small-scale farming families. It will review whether this approach can achieve wider-scale uptake of legume technologies and the impact these campaigns have of the quality of decisions taken by small scale farmers producing common legumes. Such decisions include variety selection, agronomic practices, fertilizer use, storage and link with markets. The research will also look for evidence that empowering young people and women, in particular, with technical agricultural information has an impact on the decision-making processes in familes. Finally the research will seek to determine if particular combinations of media and promotional approaches work in particular context and to package these research finding to support policy and practice developments. The project started in November 2015 and a partnership inception event and launch was held in February 2016. However, the pilot campaign activity undertaken by the Legume Alliance partners early in 2015 ensured meant the partners were ready with a common campaign in place by the end of February 2015 planting season in northern Tanzania. The inception meeting allowed the partners to develop strategies covering research and monitoring learning and evaluation , communications, scale-up and gender. The launch attracted national and regional government representatives both of whom spoke enthusiastically about the project. Whilst the meeting was largely conducted in English the panel discussion was in Kiswahili and was recorded by Radio 5 for use in future programs. Farm Radio International has sub-contracts in place with with International Institute of Tropical Agriculture (IITA) and Agricultural Seed Agency for their roles. CABI and FRI jointly facilitated and documented the first annual review meeting. 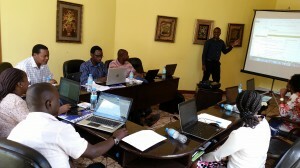 Farm Radio International has coordinated, trained and contracted the first two radio campaigns in partnership with Radio 5 based in Arusha region and Radio HabariNjema FM based in Manyara region. The specific common bean technologies now include less emphasis on improved varieties and more focus on storage and good agronomic practices, in response to the acute shortage of improved seed this season. By the end of the series around 500 farmer interactions happened each week in response to the questions posed. The ASHC/CABI team has developed a full set of SMS’s that mirror the radio shows. A research pilot is looking at how SMS and radio work together and the optimum number of SMSs that are require to impact on awareness, attitude and behaviour. Three groups have been selected: the first is encouraged by SMS to listen to the radio. In addition to being encouraged to listen to the radio the second group recieved 80-90 SMSs and the final group received 50 messages, based on the most requested information. Each group consists of 500 farmers drawn from the Legume Alliance database 3,000 legume farmers who completed a 15 minute telephone interview. 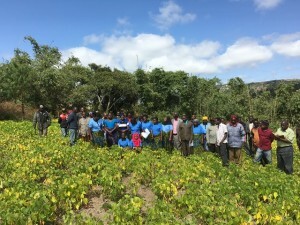 The Africa Fertilizer and Agri-business Partnership (AFAP) coordinated the planting of 16 one-acre common bean demonstration plots showcasing either Uyole Njano and Jesca. The demonstration plots were managed by the local agricultural extension, staff supported by the district and regional extension staff and AFAP. CABI developed printed material to support the farmer-field days which was distributed to 1,508 farmers. ASA has identified 50 agro-dealers to sell common bean seed to farmers. In some areas like Babati (Bashnet) and Karatu, the project has identified big farmers to act as agents for the seed distributions. ASA will continue to identify more agro-dealers. IITA has recruited research students. 4 out 5 places were awarded to women, on merit- they will be exploring how the campaign elements work together to influence farming families. 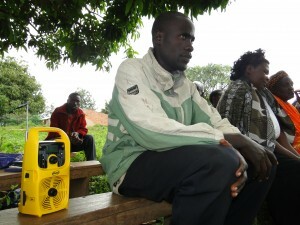 FRI has signed an agreement with the Catholic Relief Service for radio campaigns on soyabean in the Southern Highlands. This represents a cost-effective way of reaching more farmers with more information – an example of synergy in practice. AFAP led work to map out the policy gaps relating to farmers accessing improved legume technologies and quality standards for seed, inoculant, and fertilizer for legumes. The partners have identified other key players promoting legume technologies a policy forum/dialogue. This has been identified as a major issue for the policy strand of the work plan. The partners are working to identify current seed stocks for the upcoming planting season. The February 2015 campaign focused on a broader sweep of technologies including post-harvest storage, in addition to the agronomic messages, rather than promoting new seed varieties. The technical brief for common beans is being reviewed and work will continue with the technical brief for groundnuts and soybean. Radio programs will be reviewed by content experts regularly for accuracy of technical content, as well as for quality standards, and where necessary, inconsistencies in the messaging will be addressed on air and by SMS. SILT is implementing annual reviews and monthly Skype meetings to help ensure that the lessons are captured in real time to better inform the planning and implementation. IITA project delivery team Principle investigator Cargele Masso. The team includes Fredrick Baijukya, Edward Baars, Renee Bullock and Paul Dontsop with Bernard Vanlauwe and Moses Thuita in advisory roles. 2 June 2017 News Soybean demo training attracts farmers Usually farming season in the Southern Highlands starts from November/December but this year it was as late as January. This was a salutary reminder for the SILT team of the impact of climate uncertainty on small-scale farmers in Africa. 20 February 2017 Update from the SILT MSc students in Tanzania Masso, Cargele, from IITA, updates us on the MSc research work happening in Tanzania: It good to report that all of the SILT (Scaling-up Improved Legume Technologies) students are making strong progress with their research. 25 November 2016 (updated May 2017) AFAP common bean farmer field days attract young farmers Young farmers – under the age of 35 – were the predominant group attending the farmer field days at the common bean demonstration plots this season. In seven of the 15 field days – under 35 year olds made up over 90% of the attenders. Overall 86% of the farmers attending the training days were under 35. 24 November 2016 news: 500,000 comics share common bean messages The Scaling-up Improved Legume Technologies team has been working with Well Told Story publishers of the highly success Shujaaz comic. At the end of October 500,000 comics were distributed in Tanzania. Around 70,000 copies of the comic were slipped into the popular sports newspaper Mwanasporti. 1 November 2016 news Is there anybody out there? 500,000 potential listeners… Producing a series of radio coverage maps is the first step towards estimating the size of the range and reach for Farm Radio International’s partner broadcasters. This methodology provides reliable estimates of potential listeners, actual listeners, and a radio station’s broadcast zone. 20 October 2016 news Women and youth targeted with common bean info Partners in the Scaling-up Improved Legume Technologies (SILT) project are looking at ways to ensure that messages on growing common beans reach interested farmers – especially women and young people in Tanzania. 1 October 2016 news: SILT explores policy bottlenecks for legume farmer The Scaling-up Improved Legume Technologies project in Tanzania is supporting soybean and common bean farmers to access improved inputs and information on the methods that will maximize profit. 29 September 2016 news Championing radio… Karen Hampson reports: Today I got an email from David Mowbray, a Farm Radio Associate, who had been attending the 50th Anniversary Conference for CIMMYT, in Mexico. In a conference session yesterday afternoon, Ken Giller delivered a key note speech entitled Systems agronomy: From fields to farms and farming systems. 20 September 2016 news Legume Alliance busy week in Arusha… A series of meetings will seek to push forward two programs that are looking at support for common bean and soybean growers in Tanzania. 4 August 2016 blog Shujaaz seeks out young bean farmers… In September and October 2015 the team at Shujaaz in Tanzania developed two stories about what they call Hustlers who made money from common beans.